The need for clear vision casting never goes away. But the place this comes from, the motivational center, needs to change as the organization grows. Maybe this isn’t true for every entrepreneur at their start, but it was for me. I had learned to leverage my personality, channel my own enthusiasm and energy in a way that infected others and brought them along. I wasn’t being manipulative (at least not intentionally), because I believed myself, and I was genuinely excited about what we were building. I really felt I saw something great ahead and wanted–needed–others to see it too. But there’s a point where leadership must rotate and make sure that what’s guiding the organization is much more than the personality of its leader. That can’t just be the raw belief of the founder that everything will turn out for the best. Charisma isn’t enough. 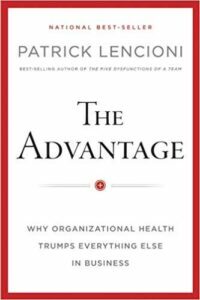 Enthusiasm alone doesn’t create a healthy organization or business. Inspired Principles can. Inspired Principles must bolster an inspired personality. Of course, a sound revenue plan is necessary too – but that’s table stakes. There’s a point where leadership must rotate and make sure that what’s guiding the organization is much more than the personality of its leader. 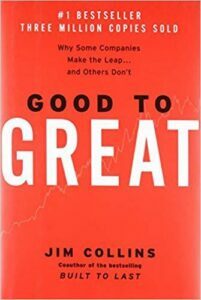 For anyone who has read the Jim Collins classic, “Good to Great,” this should sound very familiar and comes from his discussion of Level 5 leadership. When I read this book years ago, this point really convicted me. It created a point of tension where I really had to stare down some areas in which my personal charisma needed to take a back seat to sound principles of operation and a fearless look at WHY we were doing our work; WHY we were building a company. Getting the answer to that question right can unleash your organization and even provide some flexibility to the way your business plan will need to evolve over the years. What is the business you’re in? How do you want to treat the people in your organization and on your client roster? Spend some time answering these questions, and feel free to share your answers with me. I’m no guru, but I’d be happy to respond offline. Leaders, tell me why you’re in business or in your industry. I’ll share my WHY in my next post. Have you read my other posts in the Creative Managers series?